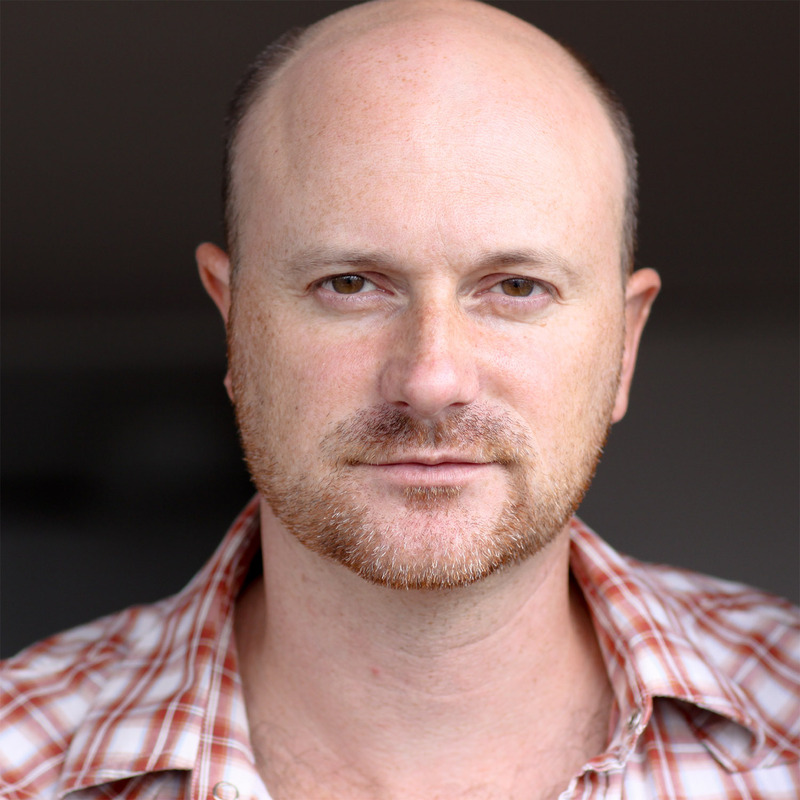 Purchase VIP ticket before May 20 and pay only $40. A portion of the proceeds will benefit BackPack Pals of Moore County and the Food Bank of Central and Eastern NC at Sandhills. Board members and the executive director are unpaid volunteer positions and all proceeds go to programming. NOTE: Your receipt for tickets from Paypal is your admission ticket. 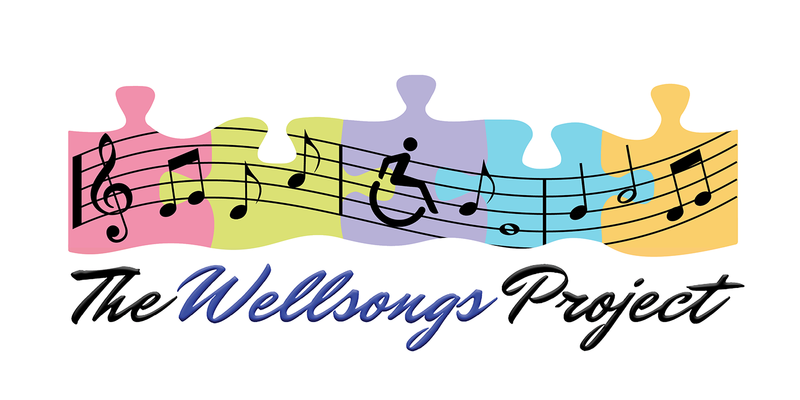 "The Wellsongs Project: Songs and Stories of Inspiration" is a musical project created by Dr. Michael Pizzi, an occupational therapist and Equity actor, designed to inspire and empower children with special needs and their families through music and song. 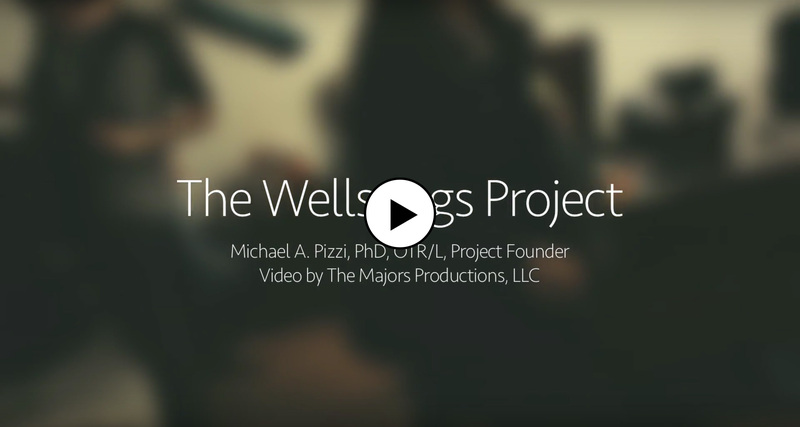 Dr. Pizzi and various composers have taken the interviews of the children and families and created an individualized song for each child, making him/her feel special and honored. 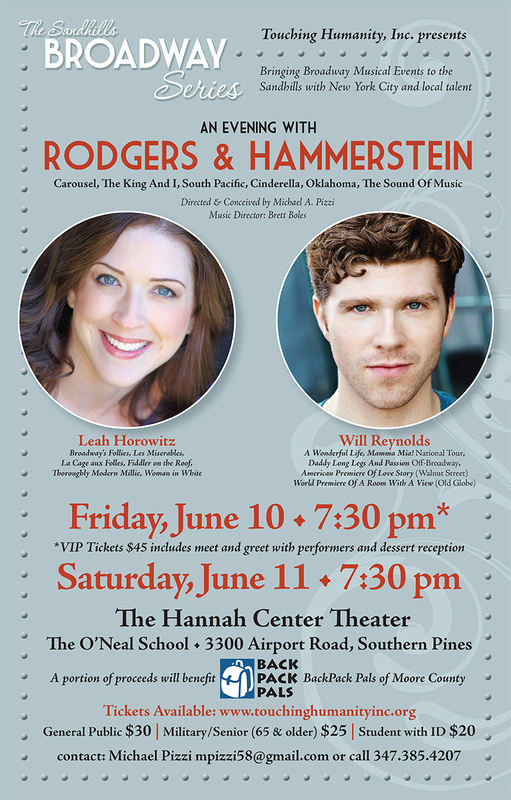 The concert is a one night only unique event and composed of all their original songs, sung by Broadway artists, in an evening that will be unforgettable. 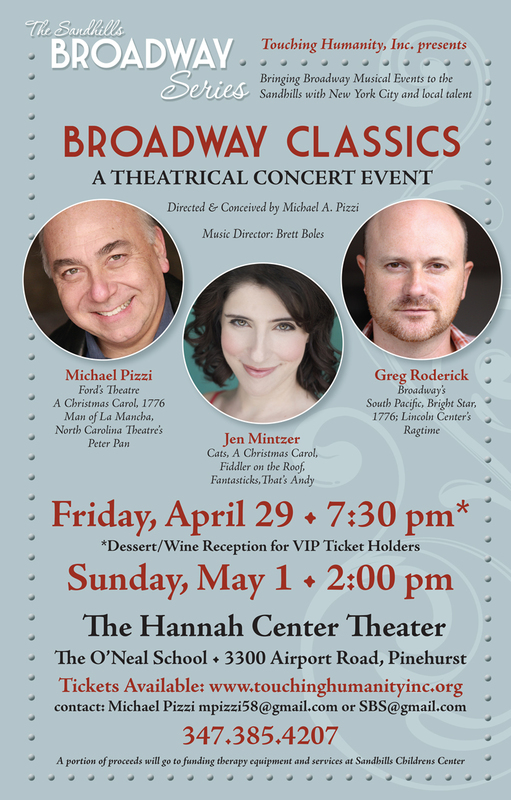 Jennifer Mintzer is thrilled to be a part of the inaugural event of the Sandhills Broadway Series and is so excited to sing with the beautiful voices of Michael and Greg! 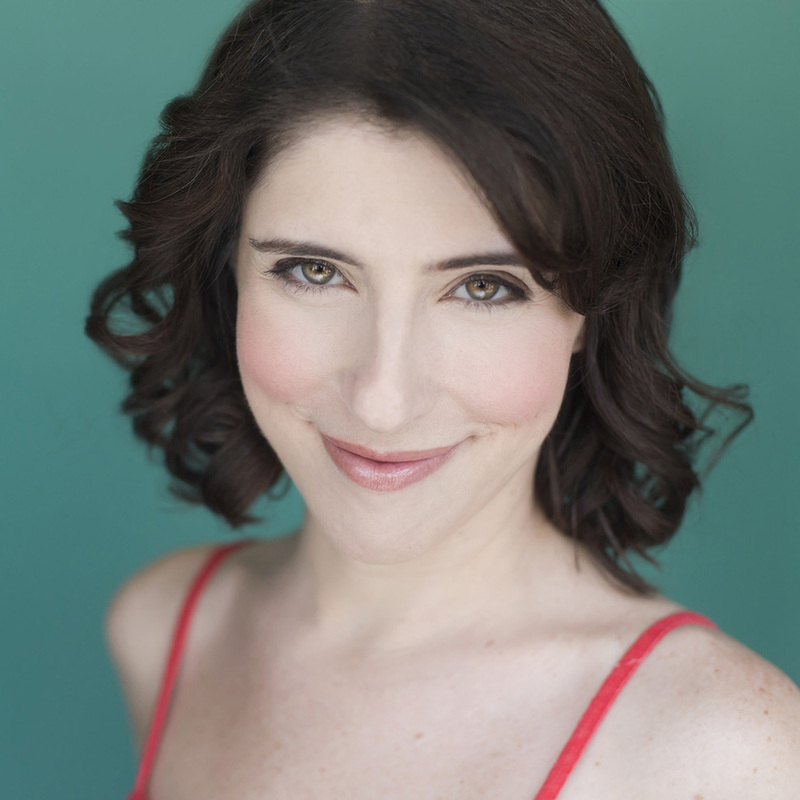 A longtime fan of North Carolina, she is also incredibly excited to soak up some sun and see some trees for a few days after living in NYC most of her life! 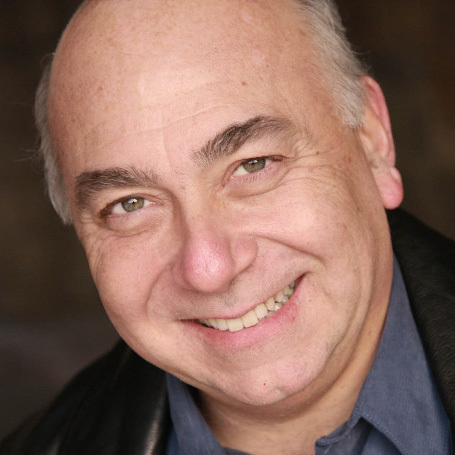 Some past favorites include "Sally Brown" in You're a Good Man Charlie Brown, "Chava" in Fiddler on the Roof, "Sillabub" in CATS, "Amy" in Little Women and "Luisa" in The Fantasticks. Special thanks to Michael for including her and spreading music and joy wherever he goes! Historically based and inspired by the poetry, drawings and lives of the children of Terezin, I Never Saw Another Butterfly is the tale of a woman who instills creativity and imagination in the children who are imprisoned in a concentration camp outside Prague during World War II. A beautiful and poignant musical play about love, hope, empowerment and remembrance, we also meet two young people who embrace their love without fear, and families who struggle to survive against the odds. A truly inspirational tale! The music and the spirit of the story will remain with you for a very long time.